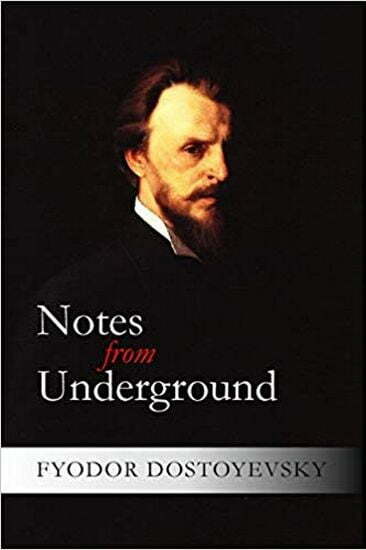 NOTES FROM UNDERGROUND is an 1864 novella by Fyodor Dostoyevsky. It is considered by many to be the first existentialist novel. It presents itself as an excerpt from the rambling memoirs of a bitter, isolated, unnamed narrator (generally referred to by critics as the Underground Man) who is a retired civil servant living in St. Petersburg. The first part of the story is told in monologue form, or the underground man's diary, and attacks emerging Western philosophy, especially Nikolay Chernyshevsky's What Is to Be Done?. The second part of the book is called “Apropos of the Wet Snow”, and describes certain events that, it seems, are destroying and sometimes renewing the underground man, who acts as a first person, unreliable narrator.